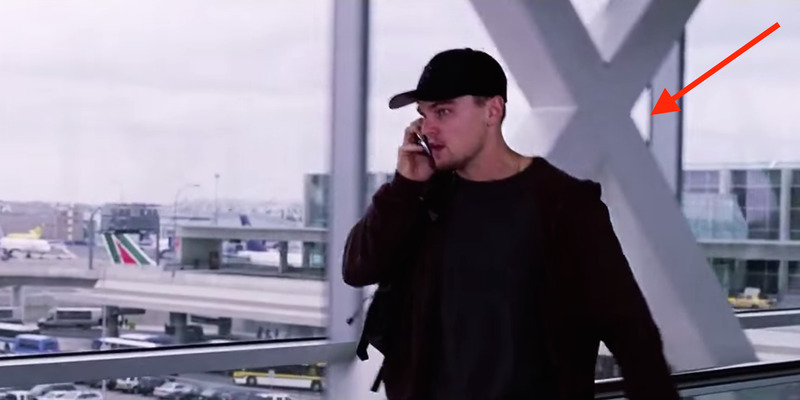 Warner Bros.Viewers realised DiCaprio’s character in ‘The Departed’ was doomed after seeing this X. 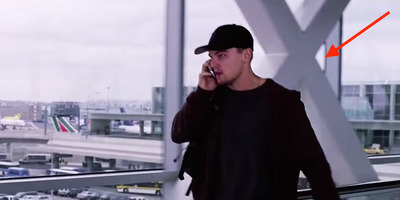 The best part about rewatching movies is catching hidden references you didn’t see the first time around. These hidden references are sometimes known as Easter eggs. They can be anything from an inside joke on set to a shout-out to another film. From “Star Wars” to “The Godfather,” let’s go on a scavenger hunt for some of the best hidden references in your favourite films. 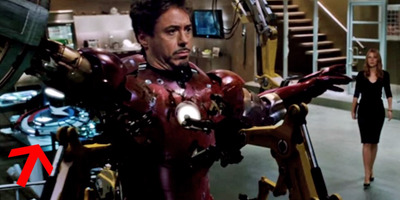 Most movie Easter eggs subtly reference another piece of pop culture. 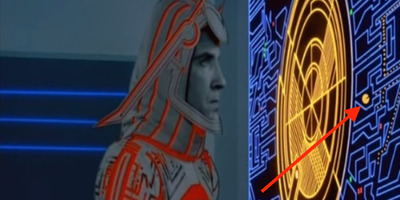 For example, 1982's 'Tron' hid the arcade favourite 'Pac-Man' on a map within the film's video-game-like grid. 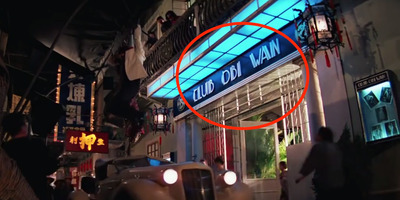 Spielberg did it again when he named a club in 'Indiana Jones and the Temple of Doom' after the Jedi master Obi-Wan Kenobi. George Lucas returned the favour in 'Star Wars Episode I: The Phantom Menace' when he included aliens from Spielberg's 'E.T. the Extra-Terrestrial' in the galactic senate. 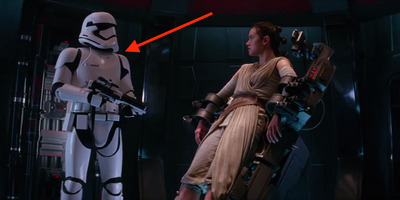 Hidden 'Star Wars' references pop up in other films, too. 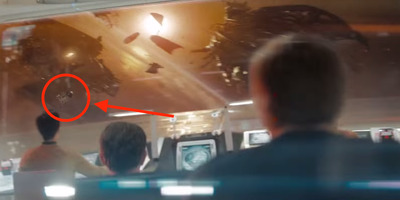 Avid 'Star Wars' fan and 'Episode VII' director J.J. Abrams had R2-D2 appear in 2009's 'Star Trek' as a piece of debris floating through space. 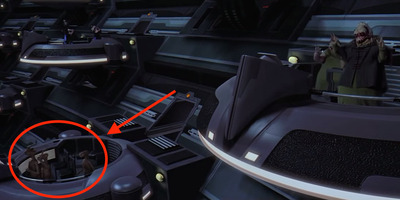 Symbolism or foreshadowing is another great way filmmakers sneak in hidden references. 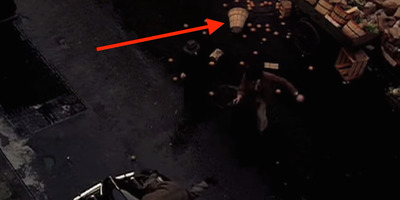 For example, many fans see oranges in 1972's 'Godfather' as a symbol of death. The same concept was more deliberate in 2006's 'Departed.' Martin Scorsese paid homage to old gangster movies by planting an X around characters who were doomed. 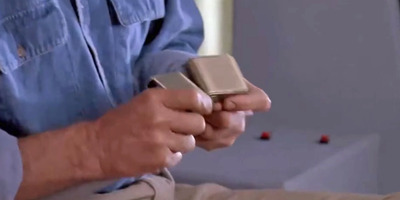 'Jurassic Park' has a symbolic hidden reference. When the helicopter lands on the island, Dr. Grant ties two female ends of a seat belt together. Fans see this as a metaphor for the DNA splicing that lets the dinosaurs reproduce in the film (even though they're all female). 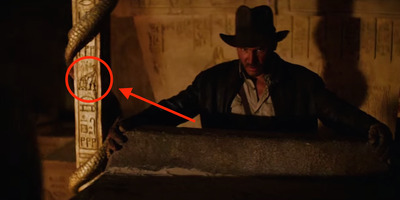 Sometimes Easter eggs can give a brief nod to a film's storyline. 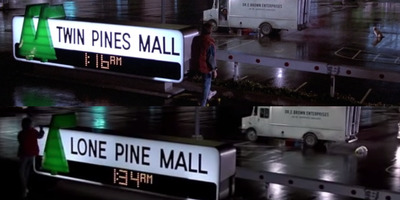 In 'Back to the Future,' Marty McFly runs over a pine tree in a mall parking lot when travelling back in time. The mall's name changes to reflect the change in number of trees. 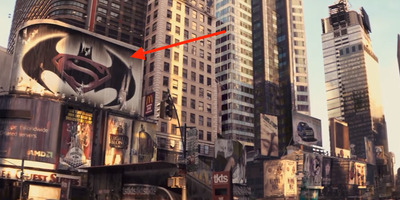 They can even accidentally predict films that don't exist as 2007's 'I Am Legend' did when it had a billboard for a Batman Superman movie hanging in its dystopian Times Square. 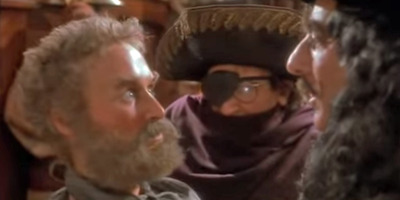 Hidden movie references aren't new, however. Director Alfred Hitchcock used to sneak himself into many of his films. 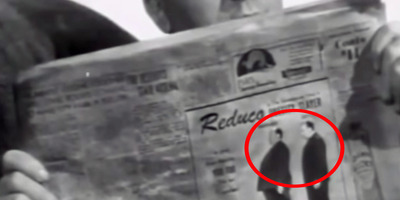 He did so in his 1944 film 'Lifeboat' (which took place on a boat lost at sea) by sneaking himself into a newspaper ad. The original 1968 'Planet of the Apes' also snuck in a hidden reference by having three apes 'see no evil, hear no evil, and say no evil,' thus reenacting the 'Three Wise Monkeys' pose. Some studio franchises have recurring bits. 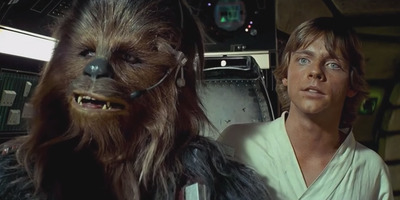 Any time a 'Star Wars' movie comes out fans wait to see which character says some variation of 'I have a bad feeling about this' -- a line said in every film of the series. 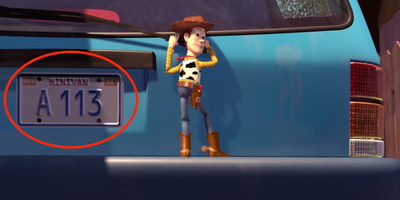 Pixar movies have their own recurring Easter egg. The sequence 'A113' appears in almost every film, nodding to a famous classroom number Pixar animators remember from their school days at CalArts. 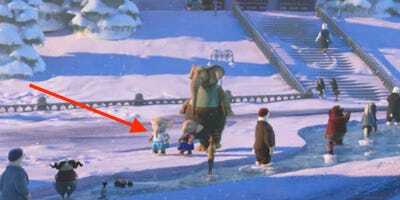 Disney animated films often have character crossover Easter eggs. Did you spot the elephants wearing Elsa and Anna costumes from 'Frozen' in the 2016 movie 'Zootopia'? We broke down many Easter eggs spotted in 'Zootopia' earlier this year. 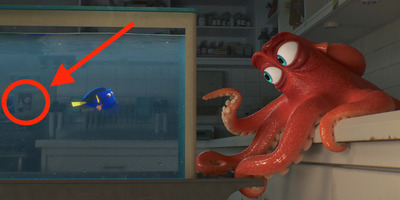 And in 'Finding Dory,' the 2016 sequel to 'Finding Nemo,' a photo of the clown fish's nemesis Darla can be seen behind a water tank. This image was circulated with promotional material, leaving the Easter egg hiding in plain sight.